The Swan Boats resumed operation last week in the Public Garden during school vacation week. But the eyes are attracted by this gorgeous tree!Fabulous! A great scene. I like everything about it. You really capture the essence of this particular moment in Boston's spring. What a lovely shot! I'll bet the kiddos love those swan boats. Nothing like spring in the northern climes! 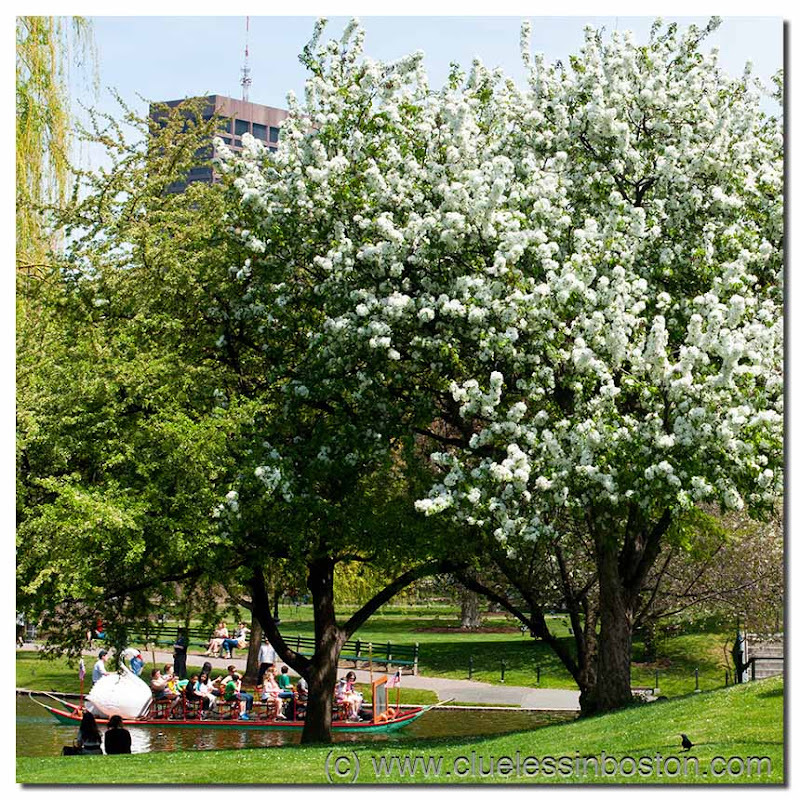 Ah, swan boats and springtime blooms in the Public Garden - makes me miss living in Boston!